" BDG promotions & connections "
BDG Enterprises has 23 CD's and 5 DVD's on the BDG RECORDS label. along with the Tony Williams Quartet. at the Tony Williams Jazz Festival -9/14 (Philly). The 4 most widely sold CD's on the BDG RECORDS label are "AIDS BENEFIT JAZZ" by Tony Williams & The BDG Allstars, INSTRUMENTALLY YOURS" by Mark Mitchell, "THANK GOD FOR JAZZ" by Tony Williams and "The Best Of BDG" which is a compilation CD made up of many of the BDG Allstars. If you are interested in co-sponsoring a CD release engagement call us at (302) 562-3706 or e-mail us at gwilliams@bdgenterprises.org. "AIDS Benefit Jazz" CD is one of our special CD's that features Tony Williams & The BDG Allstars live at the Delaware Theatre. This CD is special because it is a live recording that was not recorded for the purposes of a CD or an album. This CD is actually the first CD on the BDG RECORDS label so it has a great deal of history and meaning behind it. This CD consists of some jazz standards, oldies and spirituals. You will get a feel of the audience's involvement and excitement that occurred the night of this HIV/AIDS benefit live jazz concert.
" INSTRUMENTALLY YOURS" CD is still one of the public's most sought after and favorite CD. Mark Mitchell co-produced and performed the music on the soprano saxophone. This CD has an awesome assortment of some of the contemporary Gospel selections. You will hear the improvisational feel and technique that many call jazz implemented into the songs. The soprano sax is a unique instrument that Mark has mastered. "THANK GOD FOR JAZZ" is a classic CD that has been out for some time however it is now been placed, redesigned and mastered on the BDG Records label. This CD, which is Tony Williams' signature release, has some of the most outstanding jazz musicians. The participating artists are Tyrone Brown, Eddie Green, Al Jackson, Bob Smith, Gerald Price, Bobby Blackwell, Butch Reed, Dave Posmontier, Mike Boone and Milt McLauren. This CD includes the sacred as well as selected secular pieces that may indeed have you consider Thanking GOD For Jazz. 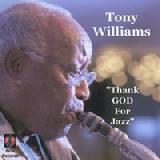 Link on to www.cdbaby.com/cd/williamstony to see, hear and order the CD, "Thank GOD For Jazz". You can order the CD online directly from the link. "The Best Of BDG" is a compilation CD that includes some of the favorite studio and live recorded selections from 6 different CD's ( AIDS Benefit Jazz, All The Way Live, G Brother's Blowing, In The Spirit, Just Jammin Blues With Me, The Truth ) on the BDG Records Label. Please link on to gwilliams@bdgenterprises.org, e-mail us or call (302) 562-3706 to order any of our CD's. Feel free to inquire if you are interested in information about our CD's. All of our CD's are within a price range of $ 10.99 - $15.99 including shipping. For special wholesale or bulk order rates for 10 or more units please link on to gwilliams@bdgenterprises.org and e-mail us your requested order. Link on to http://www.youtube.com/v/whQyt3FEfJg&hl=en&fs=1 to view the "Soul Spirit Showcase" DVD promo. Link on to http://www.youtube.com/v/6mEcaCQRPIA&hl=en&fs=1 to view the "Gospelfestplosion" DVD promo. Link on to http://www.youtube.com/v/VsMxiU1bE_8&hl=en&fs=1 to view the "Thank GOD For Jazz" DVD promo. Link on to http://www.youtube.com/v/GZ3b8DCuuCQ&hl=en&fs=1 to view the compilation DVD promo of the "2008 BDG Summer Kickoff Music Fest". 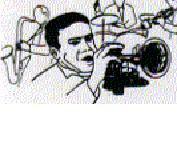 Each of the 5 DVD's were produced and packaged by Made In The Shade Productions.Made In The Shade Productions CEO chief cameraman and videographer ( Larry Lambert) did the filming, editing and mastering of the products. The 5 DVD's were all a part of the 2008 BDG Summer Kickoff Music Fest held at the Delaware Theatre Company. The prices of the DVD's are $12.49 including shipping and handling. WE HOPE YOU ENJOY !!! Woodstowne, Words That Lift Ministry and Zanzibar Blue. BDG continues to look forward to providing organizations with contributions and opportunities to participate as beneficiaries in BDG sponsored events. BDG Enterprises has donated over $ 75,000 to the following organizations through BDG's sponsored events. Please contact us at (302) 562-3706 or e-mail us at gwilliams@bdgenterprises.org if you have any questions or interest about beneficiaries, advertising or corporate sponsors. We look forward to continued, expanded interest and support.